Bay ef? ciently moving patrons from other vessels to the over occupants, should the customer deems that necessary. Mercury Sport Jet, the boat is capable of speeds approaching and not necessarily need – Moore Boats are designed and 40 miles per hour with the unique ability to transverse sand- perform well in shallow water while remaining more than bars with depths as shallow as 4 inches. Notably – statically capable in more challenging sea states. 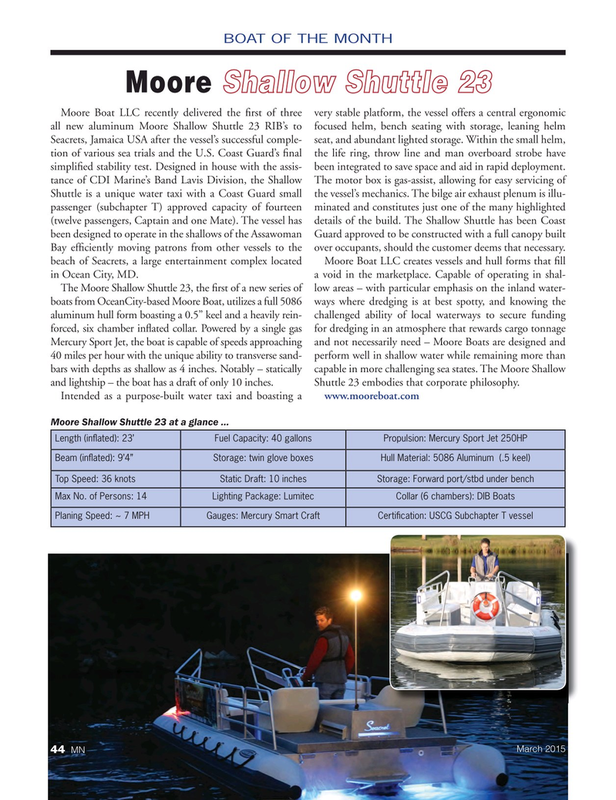 The Moore Shallow and lightship – the boat has a draft of only 10 inches. Shuttle 23 embodies that corporate philosophy.